My family and I recently visited this escape room for my brothers 15th birthday. This was our first experience doing an escape room. Our family has always loved puzzles so my brother chose to do the hardest one, Erased. When we got there the crew offered to let us do a less difficult one, but my brother was determined. The room was extremely fun and challenging. We got about halfway through it, but didn’t escape. We enjoyed it and plan to go back there very soon. The crew is extremely friendly, the rooms are fun, and everything thing else in between was simple, clean, inviting, and so much more. In this sequel to the legendary HACKERS room, the location of a sophisticated hackers’ organization has been compromised. They’ve gone into hiding and hired you to “scrub” their facility. Your job is to erase all evidence incriminating your employers. You have one hour until the feds are beating down the door. Can you erase the hackers’ digital trail in time, or are you the one that will be ERASED? 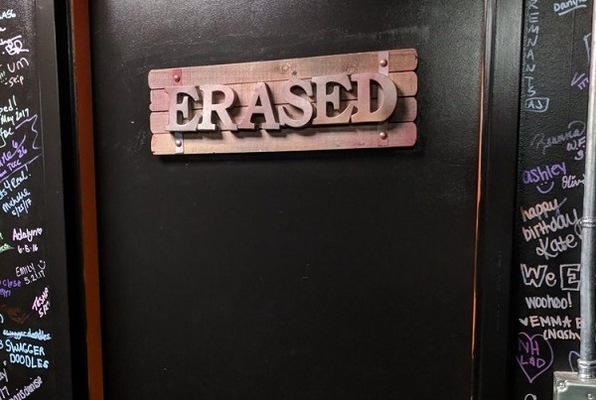 Reviews of escape game "Erased"
This was my second time here. The first time I did the Hacker room and this time I did it’s sequel, “Erased”. It was in the same rooms which you wouldn’t know at all. The games felt familiar but also totally different. It was a really great experience. The staff was fun and energetic. The game was difficult but possible. We will definitely do this again soon! 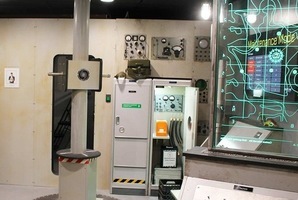 We booked Erased (Hacked 2.0) for a smaller birthday group of 4 adults and 1 teen. This room is so elaborate with an overwhelming amount of tasks. Unfortunately, we did not 'escape' within the allotted time, but had a blast! Highly recommend for more experienced escapees.